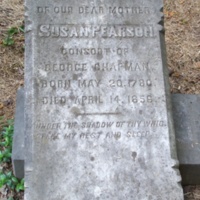 The Chapman Family Cemetery is located in Prince William County, Virginia on Bull Run Mountain in the northwestern corner of the county near the towns of Broad Run and Thoroughfare. 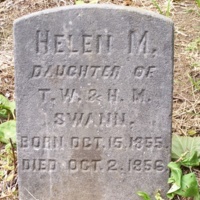 It contains five headstones with identifying markings as well as several additional headstones/footstones with no identifying markings on them. The cemetery is surrounded by a stone wall and is currently in disrepair, including one broken headstone (since 2008). Downhill from the cemetery are the ruins of the Chapman family mill (also known as Beverley Mill), said to be the tallest stacked stone structure in the United States. 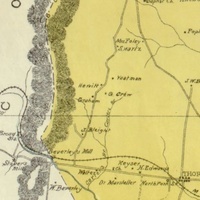 During the Civil War a battle fought on the ridge where the cemetery is located was one of the decisive engagements in the Second Battle of Manassas (1862). 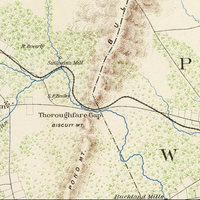 the Chapman family was a prominent planter family in northwestern Prince William and Fauquier counties, owning fairly large estates, as well as commercial enterprises such as the mill. Those buried in the cemetery are Chapmans, Alexanders, or Williams--families related to one another through marriage in various ways. 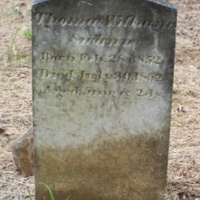 An image of the headstone of Thomas William Swann in the Chapman Family Cemetery on Bull Run Mountain in Thoroughfare, Virginia. 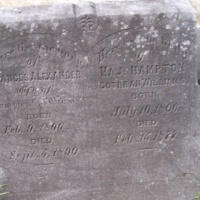 The headstone of Frances Alexander Williams and her husband Maj. Hampton Cothran Williams in the Chapman Family Cemetery on Bull Run Mountain in northwestern Prince William County, Virginia, near the towns of Thoroughfare and Broad Run. 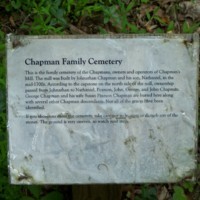 This is the marker placed outside the Chapman Family Cemetery by the Friends of Bull Run, the conservancy group that administers the land on Bull Run Mountain above historic Beverly Mill. 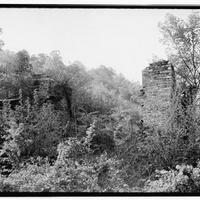 Ruins of Meadowland, the home of the Chapman/Beverley family at Thoroughfare Gap, Virginia. 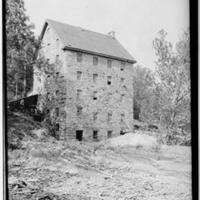 This undated photograph from the Library of Congress is part of the Historic American Buildings Survey.